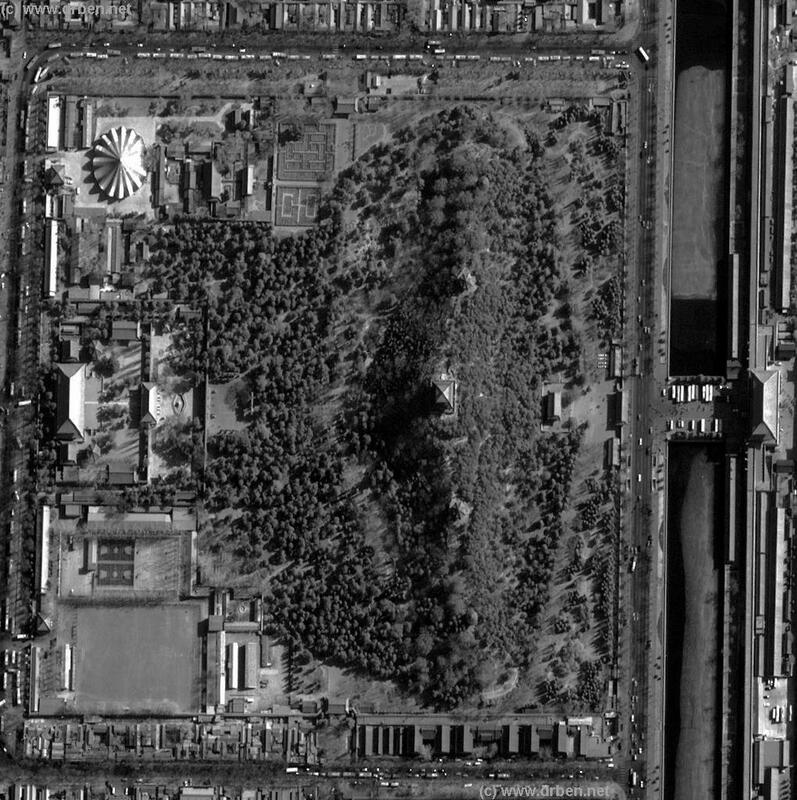 This Satellite Image shows a Complete overview of the Jing Shan or Coal Hill or Prospect Hill and Park, located directly North and opposite of the Imperial Palace North Gate (ShenwuMen). The Southern (Right-hand) border of this Image is formed by the Imperial Palace Moat and Walls. The Northern (Left-hand) border is formed by the natural northern border of Jingshan Park, where (at The Beijing Children's Palace) DianMen Avenue (leading North towards the Drum Tower) begins. The area's East and North of Jingshan Park nowadays are famous for explorations by Tourguide in the nearby Hutong. To the West, out of Image, adjacent Jingshan Park is Beihai Park, another former Imperial Pleasure Garden, famous for its Eye-catching White Marble Dagoba. To the East (Top) are a famous Hutong Area that can be visited by Guided Tour. !! Warning : Image Top = East , not North ! !